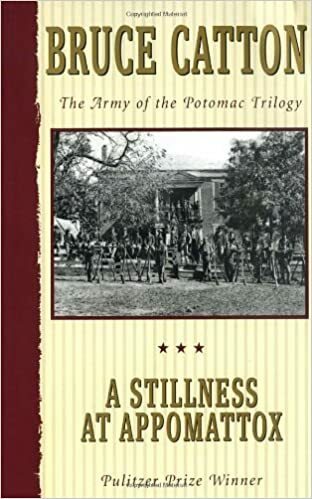 When first published in 1953, Bruce Catton, our foremost Civil War historian was awarded both the Pulitzer Prize and the National Book Award for excellence in nonfiction.В В This final volume of The Army of the Potomac trilogy relates the final year of the Civil War. Volunteers, p. 232. 23. Official Records, Vol. XL, Part 1, p. 474. 24. History of the 24th Michigan, p. 275; History of the 12th Regiment New Hampshire Volunteers, p. 229; My Life in the Army, p. 95. 25. Service with the 6th Wisconsin Volunteers, pp. 299вЂ“300; History of the 150th Regiment Pennsylvania Volunteers, pp. 197вЂ“98. 26. Musket and Sword, p. 183; History of the 39th Regiment Illinois Volunteer Veteran Infantry, p. 208. 27. Manuscript letters of Lewis Bissell; MeadeвЂ™s Headquarters, p.